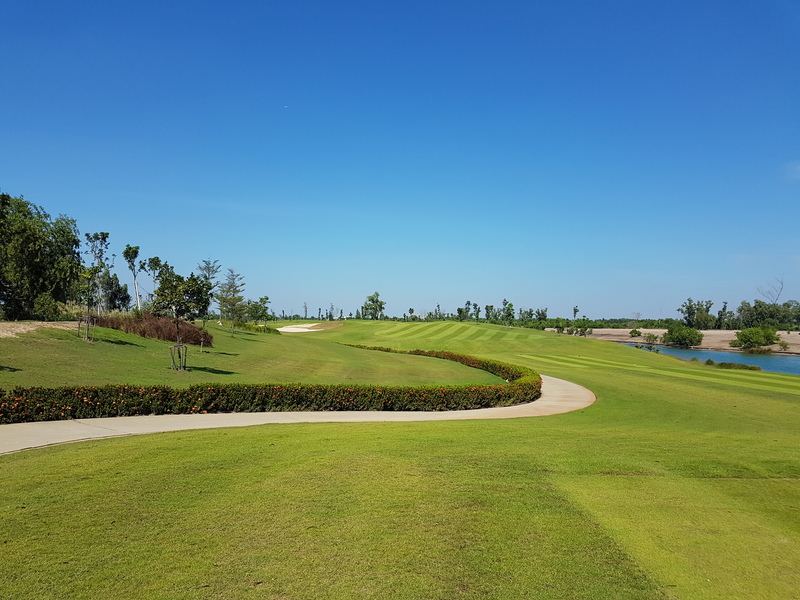 The 18-holes at Royal Bang Pa-In are spread out over 100 hectares. 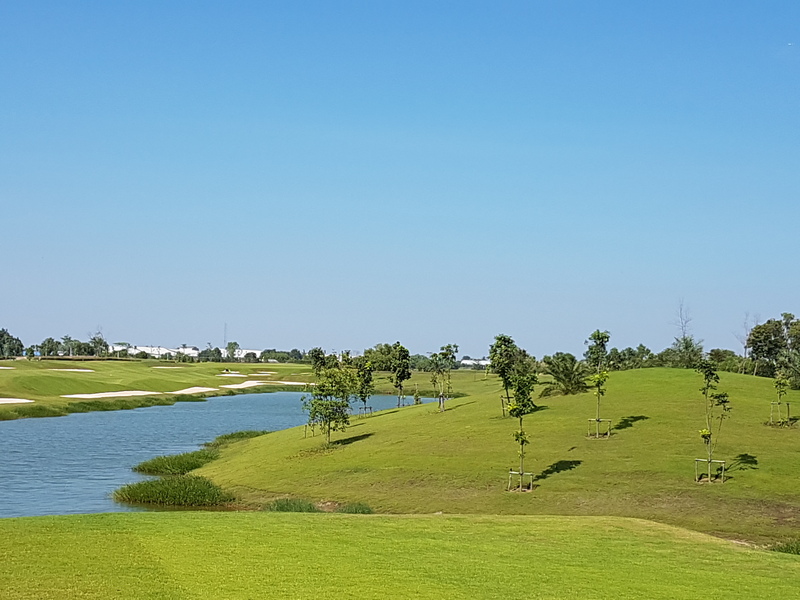 The designer and construction team has turned flat marsh land and rice paddies into an impressive modern golf course. 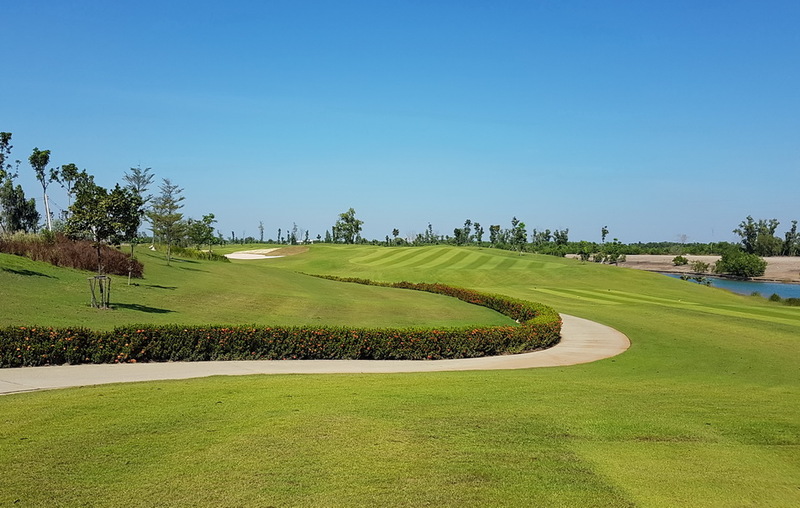 Unique features include some of the largest greens in Asia which are planted with the latest variety of Champion ultra-dwarf Bermuda grass. 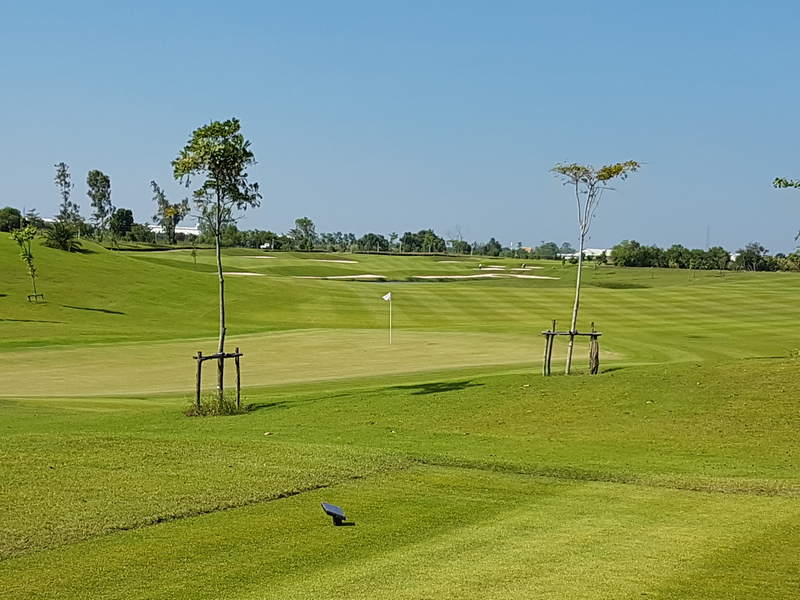 The fast speeds and heavy undulations make for some very interesting putts which require excellent green reading and lag putting ability just to 2-putt. 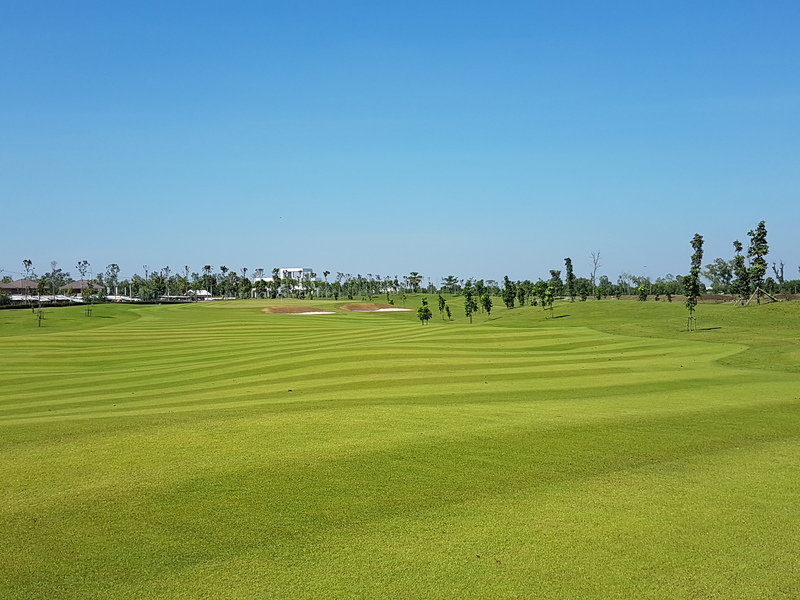 Fairways and rough are grassed with Paspalum turf. 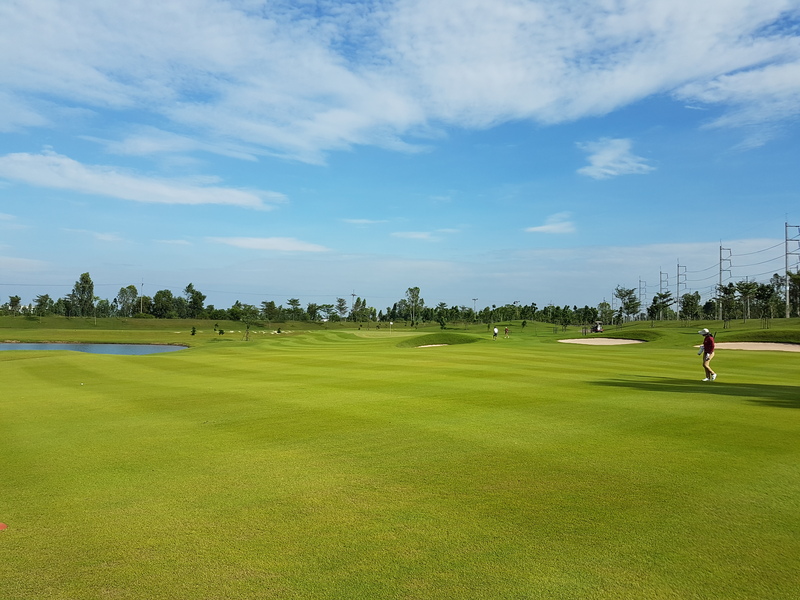 The fairways are for the most part very hard which promotes good run out on low and draw shots. The rough is thick and sticky which makes it that much more informant to keep balls in the fairway to make pars. 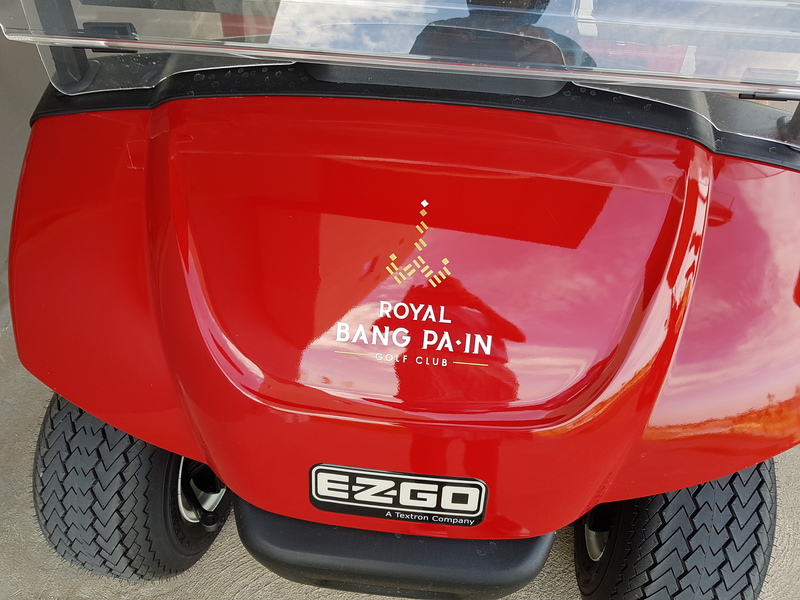 Many risk-reward holes are found at Royal Bang Pa-In. 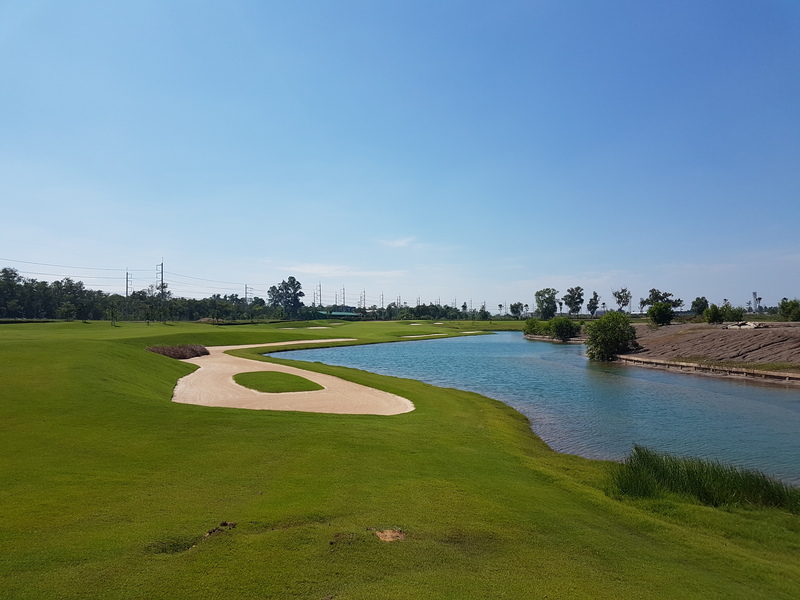 For example, the opening hole is a dogleg right with water flanking the whole right side. 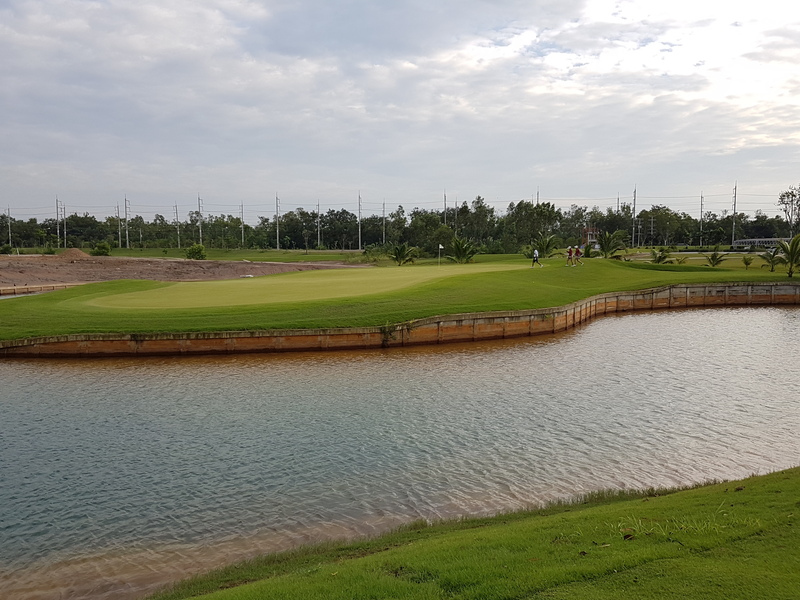 The drive requires a long water carry to hit the fairway landing area and have an easy shot into the green or a more conservative shot left to take the water out of play. However, the latter leaves golfers with a long iron or hybrid to make the green in regulation. 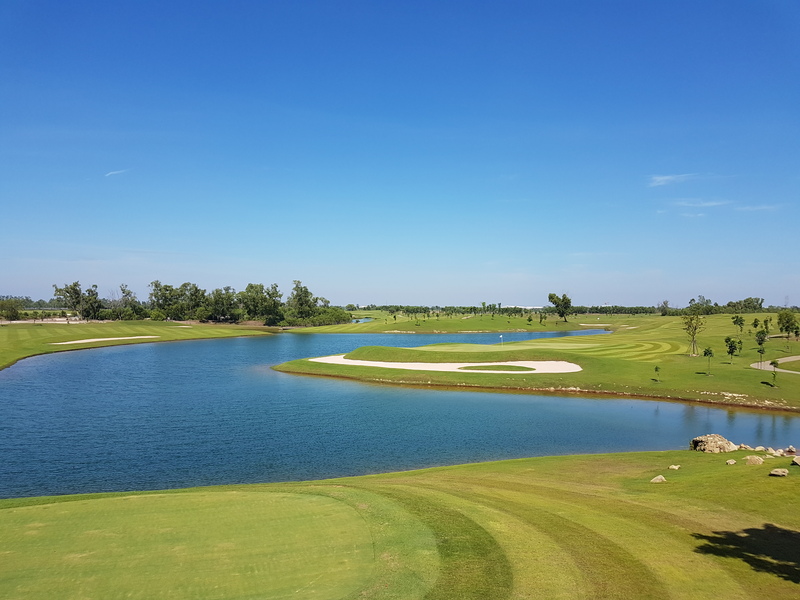 The finishing holes on each nine are also very memorable. 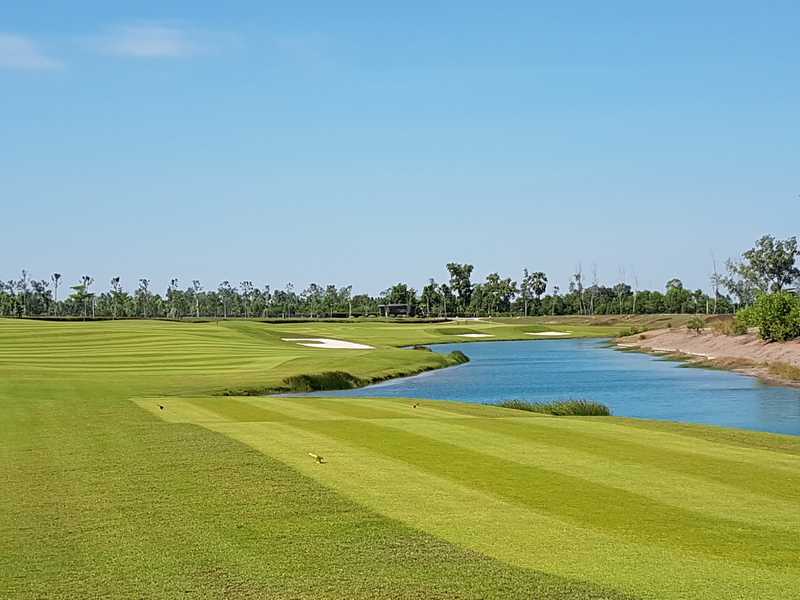 The par-5 ninth requires a long drive to have a chance of clearing the stream crossing the fairway around 100 yards from the green and managing waste area left on the second shot. Once cleared it is an easy shot into the green to set up for a birdie opportunity. Otherwise, the second shot needs to be a short layup before the stream. The third then is a long iron or rescue wood to the green. The long par-4 final hole is one to remember too. 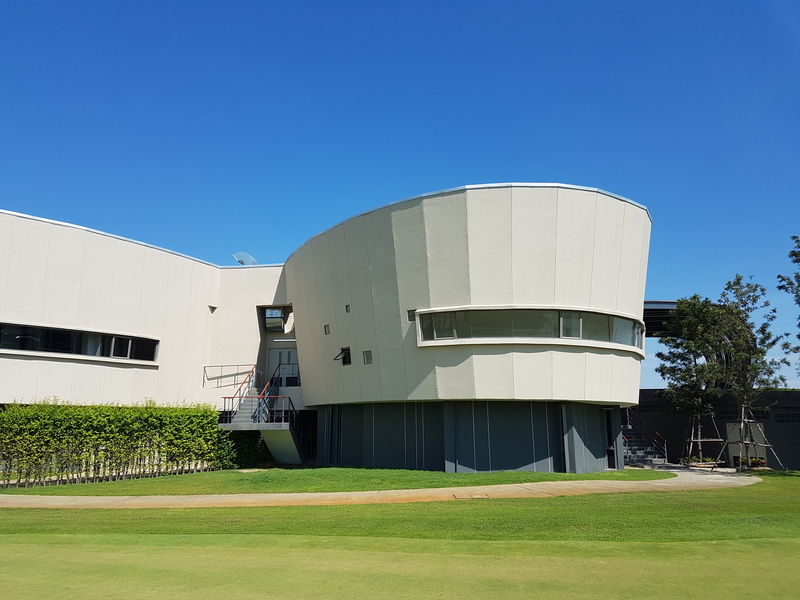 It plays directly towards the clubhouse and to the green which is shared with the ninth. 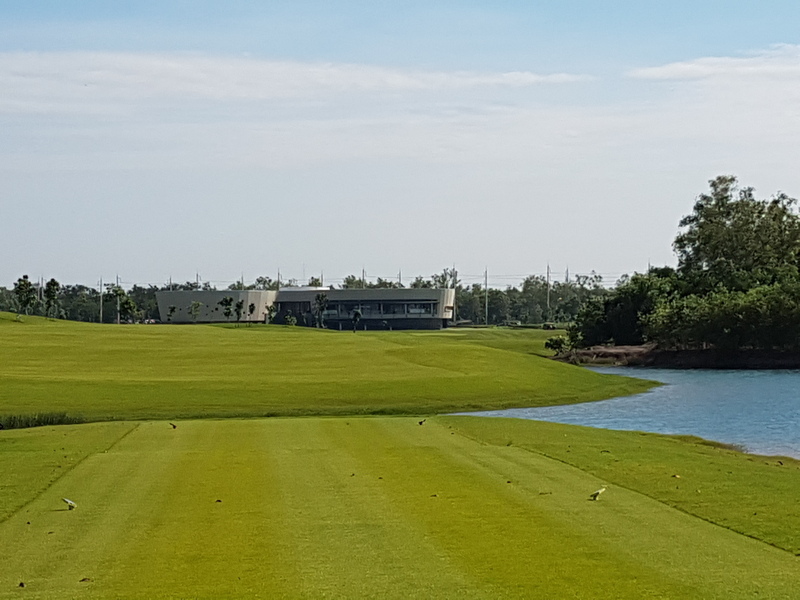 An accurate drive to an elevated fairway is needed to cut off some off some the dogleg and set up for a good final shot into the green. 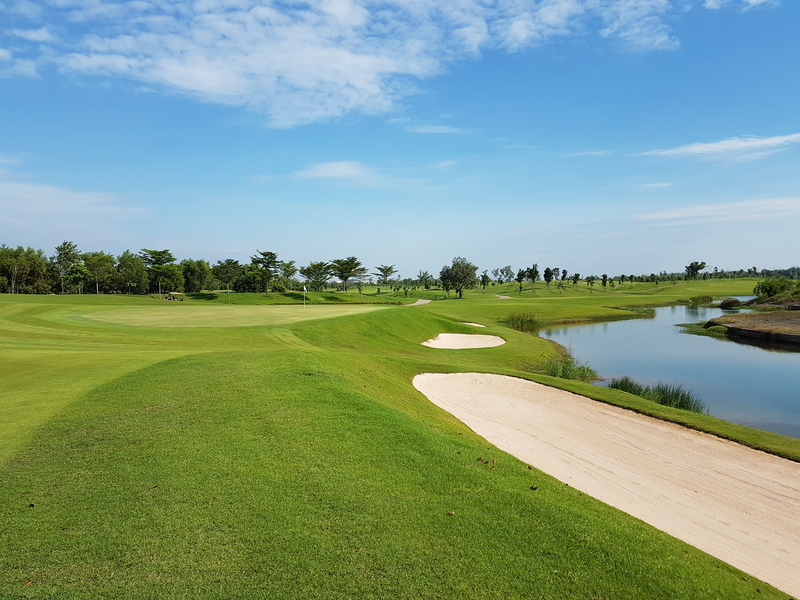 Errant shots left will find the fairway hazards and rough and those to right will be wet. 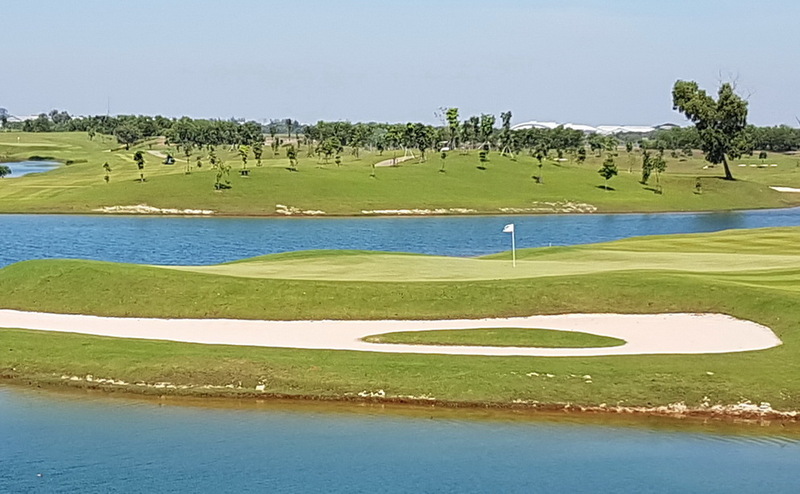 There are also elements of fun at Royal Bang Pa-In including square tee boxes and square rescue bunkers that are positioned to catch errant shots between the fairways and water hazards, a large variety of distances (Par-4’s range from 320 to 498 yards), large mounds flanking each hole, and many blinds shots into bunker-protected greens. 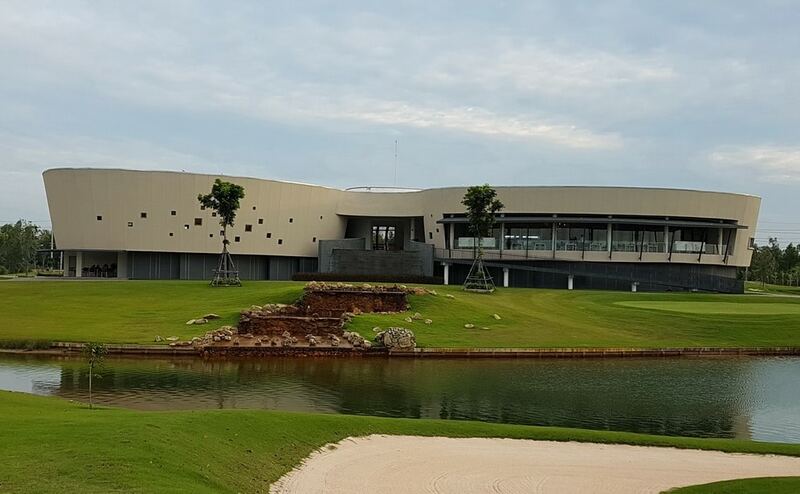 Royal Bang Pa-In includes an ultra-modern clubhouse designed in an elliptical shape where no two walls are parallel. 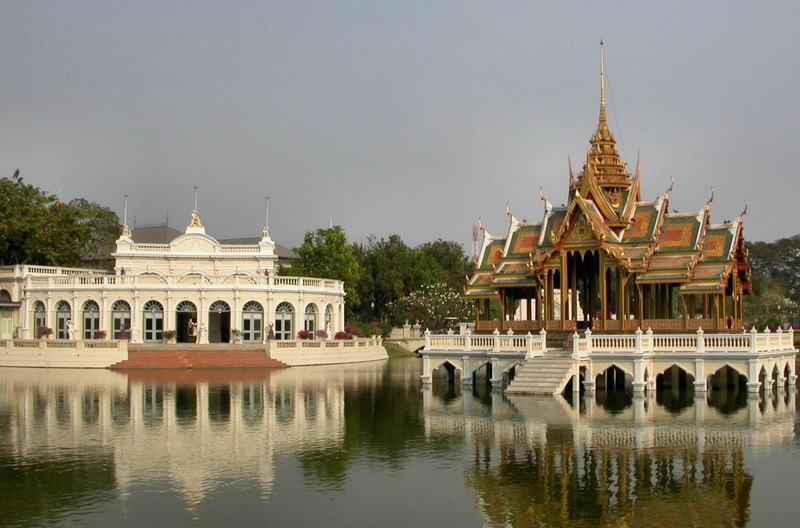 The entrance is massive and even includes a heliport for arriving dignitaries. 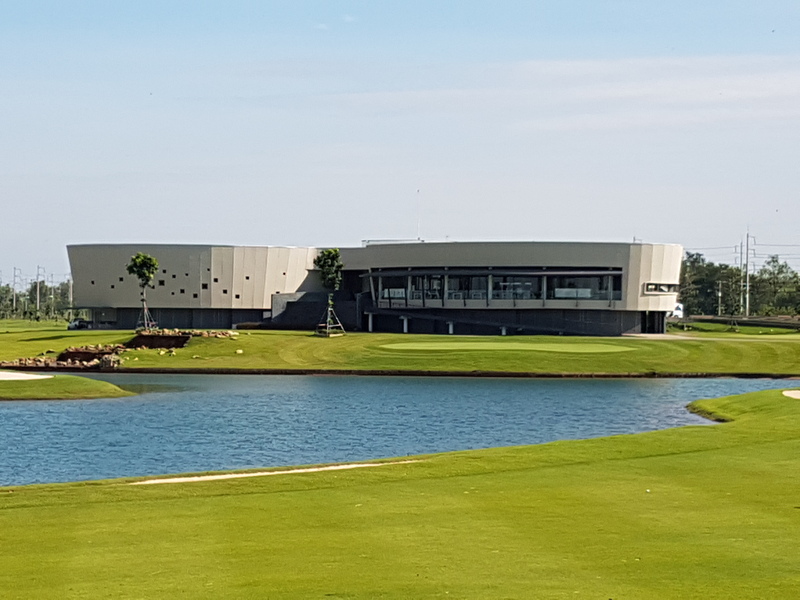 The large rock waterfall spans the entire rear of the clubhouse with water raging down from the second level all the way to the golf courses itself. The locker rooms are highlighted with small glass panes that allow natural light in while still offering privacy. 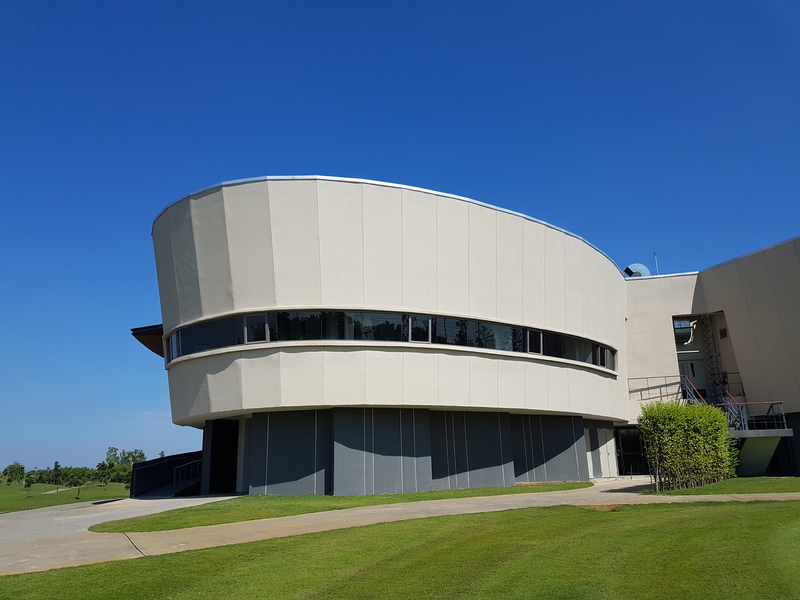 The view from the restaurant is spectacular as a 360-degree course scenery can be seen from the floor-to-ceiling windows. 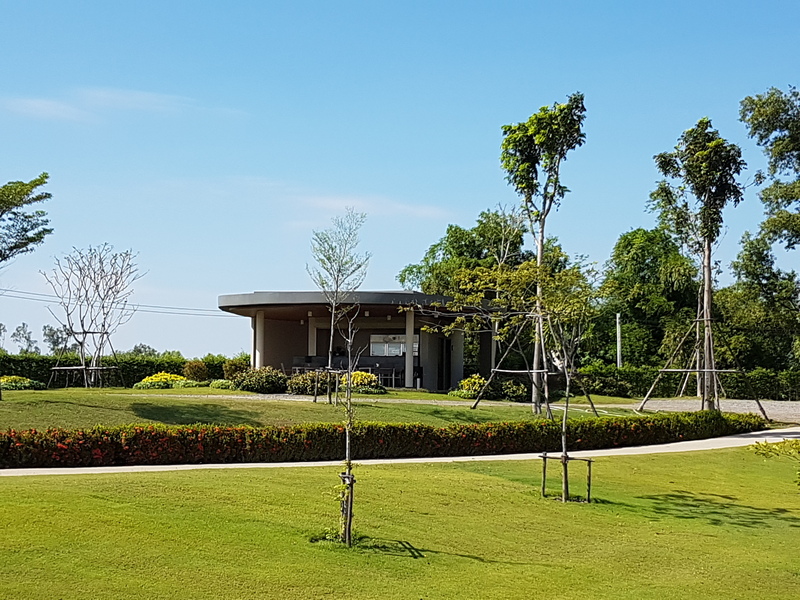 Other amenities, fusion Thai and Western food selections, and layout are all characteristic of a private country club experience. 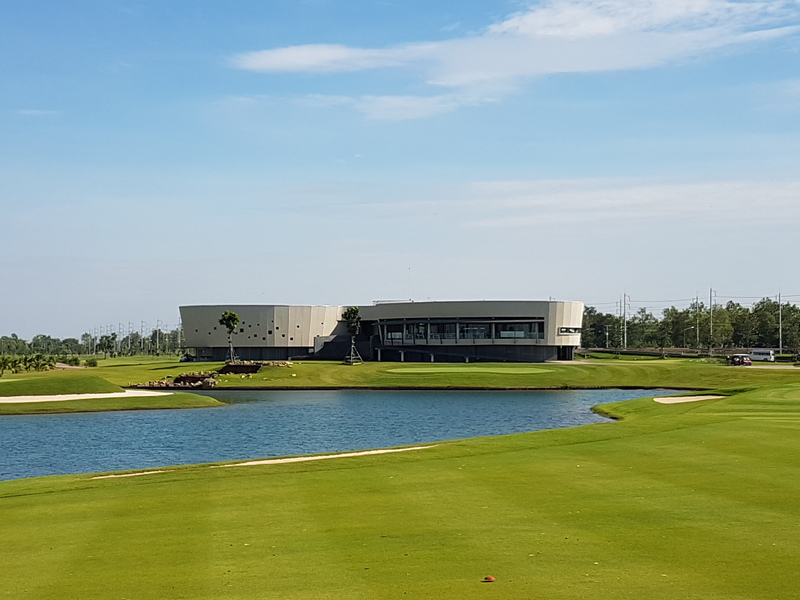 Have you played golf at the Royal Bang Pa-In Golf Club and took some nice photos that you would like to share with other golfers? Send them to us and we may upload them here. Thank you in advance!